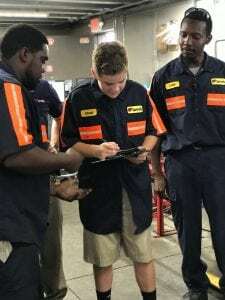 Our Children’s Miracle Network Hospitals Champion, Hunter Miller, hit the road yesterday visiting some of our partners. 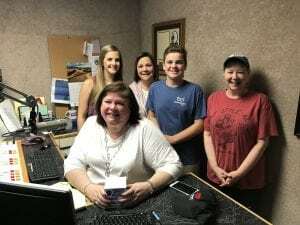 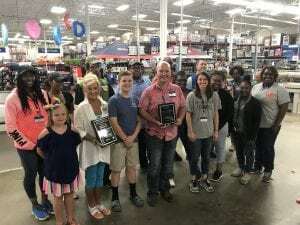 He made blizzards at Dairy Queen, helped the guys in the shop at Love’s Travel Stop, interviewed with our radio partner Wizard 106 and presented the award to our top fundraising Sam’s Club! 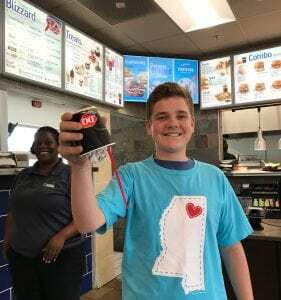 What an amazing Champion kid!